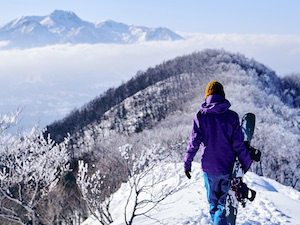 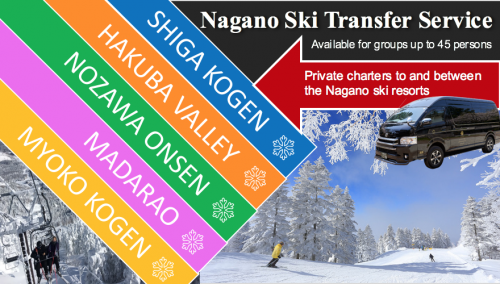 One of the most famous attractions is Nagano Prefecture is the Snow Monkey Park. 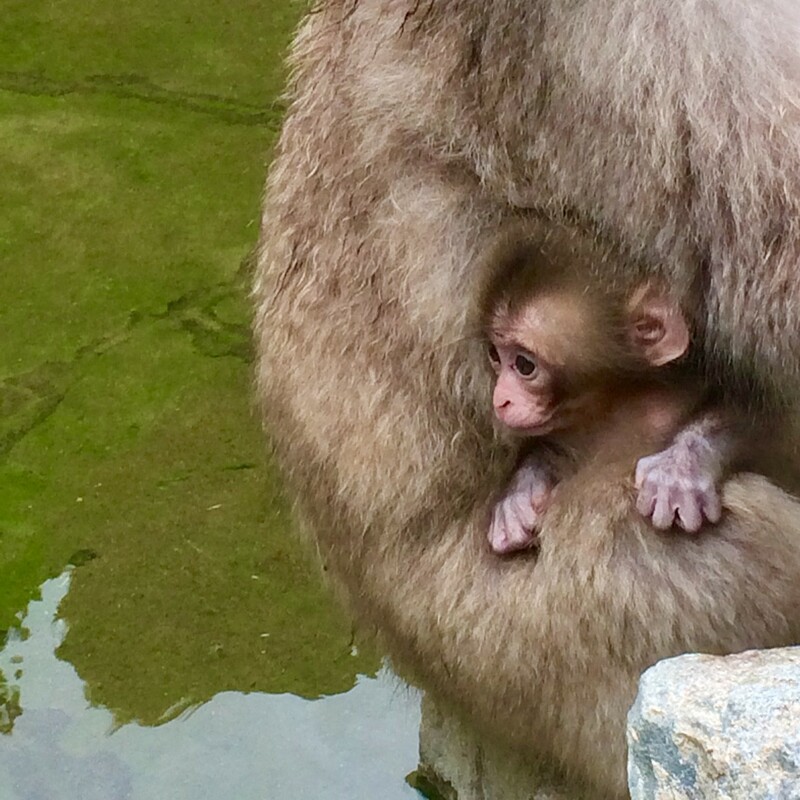 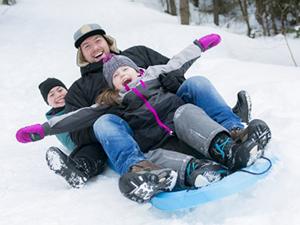 If you are coming to see the snow monkeys in their own habitat and want to get a place to stay overnight, we have a recommendation for you. 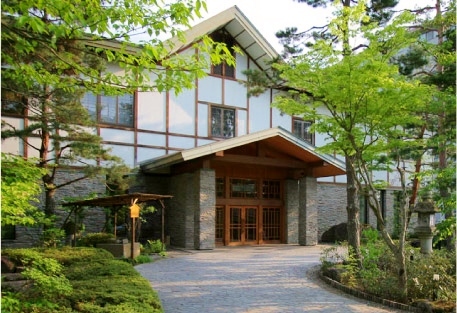 One of our favorites in the area is Kanbayashi Hotel Senjukaku, a top tier ryokan with hot springs, delicious dinner, an indoor pool, and more. 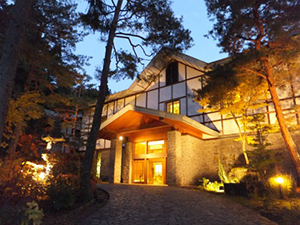 Senjukaku is a traditional ryokan (Japanese inn) in the snow monkey area, and as a traditional inn, Senjukaku has hot springs, voluminous dinner and breakfast, yukata clothing, and an excellent level of hospitality. In this article we will explain why we recommend the hotel, and what activities and attractions there are around the ryokan. 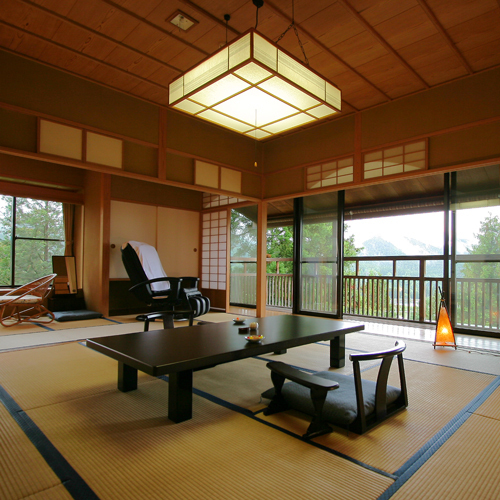 Rooms at Senjukaku are in traditional Japanese style, and have the tatami mats, yukata clothing for guests, low tables with complimentary tea sets, and an amazing view over the Northern Alps. 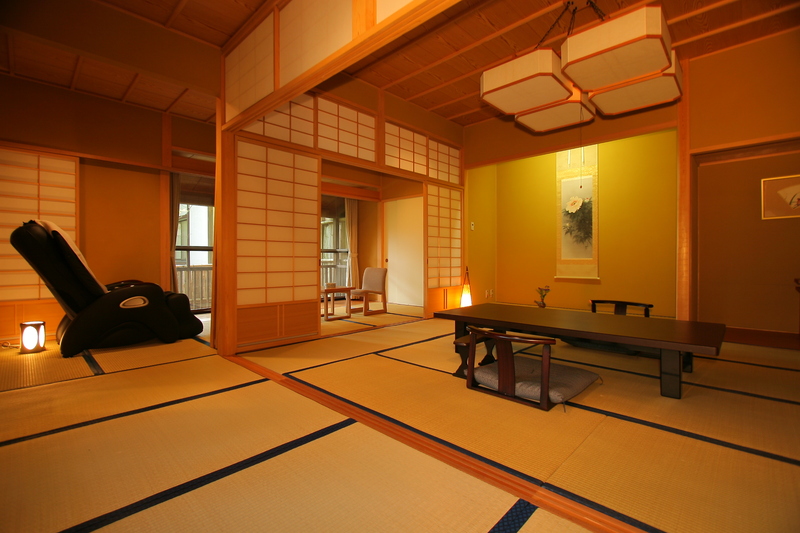 Those staying at the ryokan can choose either Western beds or Japanese futons to sleep in. One of the main reasons to stay overnight at the ryokan is for its hot springs. 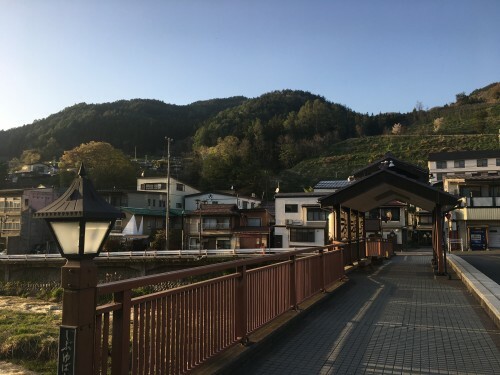 The source of the hot springs of Senjukaku is the same as the one of the Snow Monkey Park and is the largest source of hot spring water in the prefecture of Nagano. 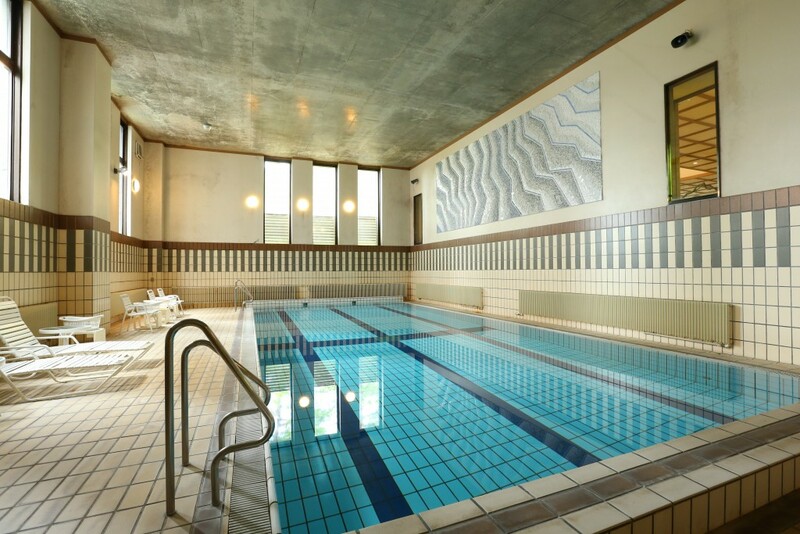 The amount of water is such that the water is continuously drained and continuously filled again, so you’re always sitting in a fresh onsen pool. 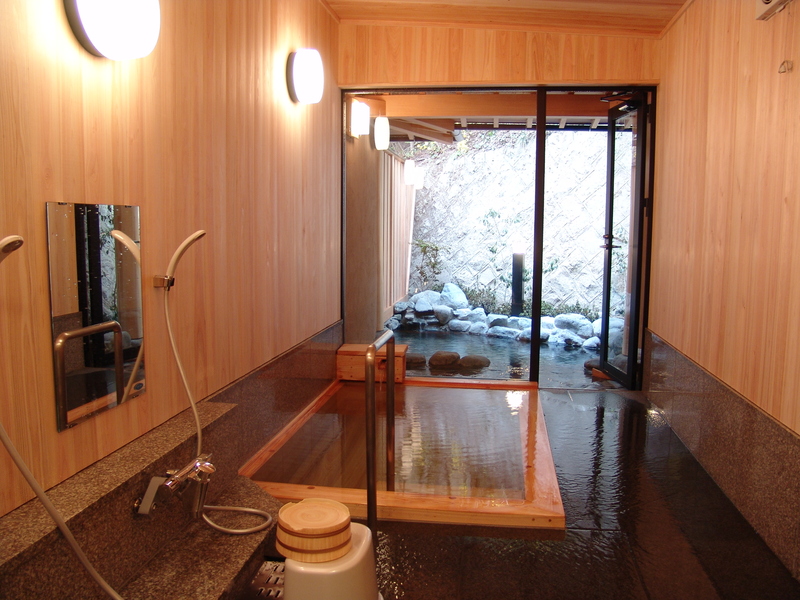 The ryokan has communal indoor and outdoor hot springs with male and female sections. 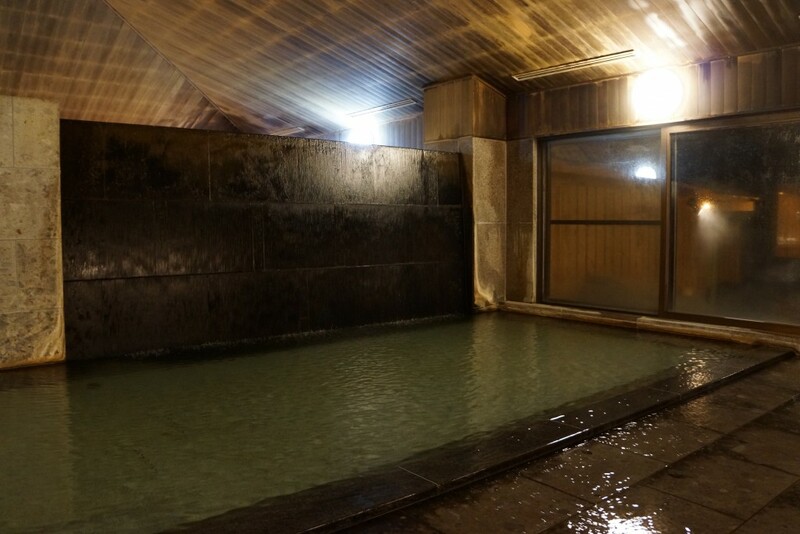 The indoor hot spring really shows off how much water actually is available; the water flows from the wall like a waterfall and overflows from the pool onto shower floor. 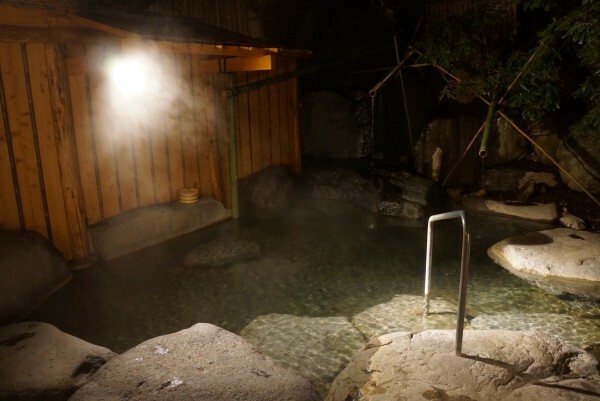 If you’d prefer to have your own exclusive hot spring where you can bathe with all privacy, these are available as well. There is a hinoki (Japanese cypress), and a granite hot spring for you to choose from (1,500JPY for 1 hour). 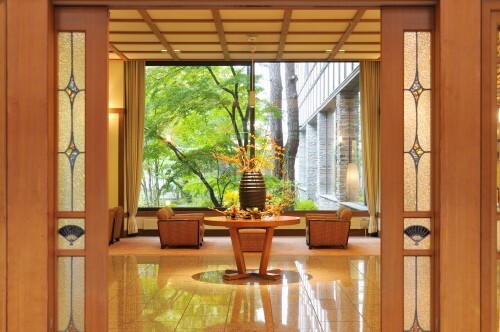 Another prime feature of the hotel is their food. 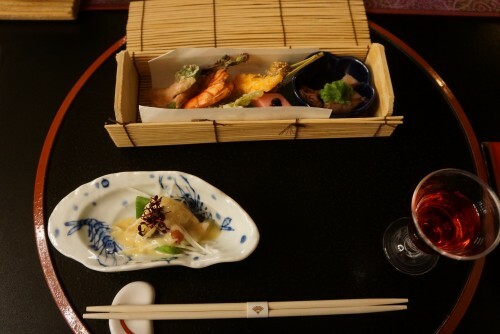 The food is in kaiseki-style, which is traditional Japanese multi course, something that is usually served at ryokans. The food at Senjukaku however, is exceptional. 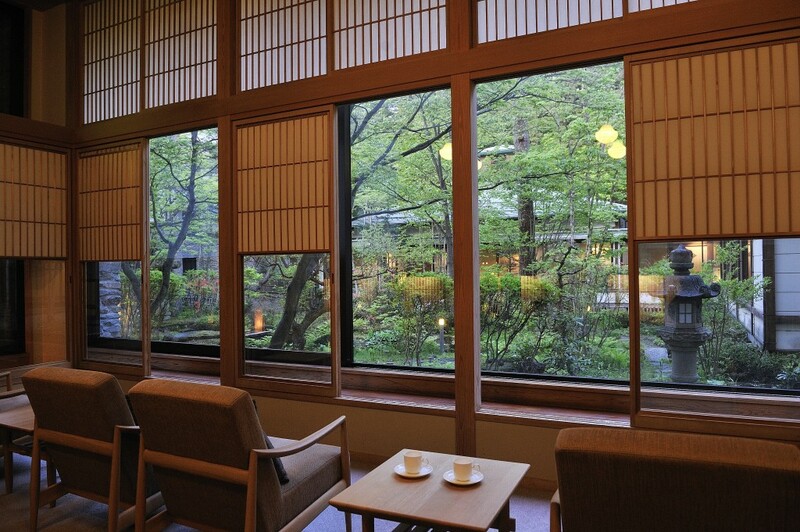 It is so good that once a year members of the imperial family of Japan take some time off to stay at Senjukaku. 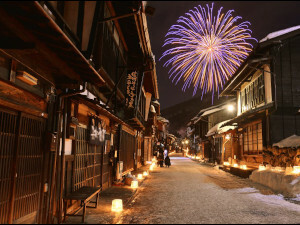 During their stay, food playing a main part of their holiday itinerary. 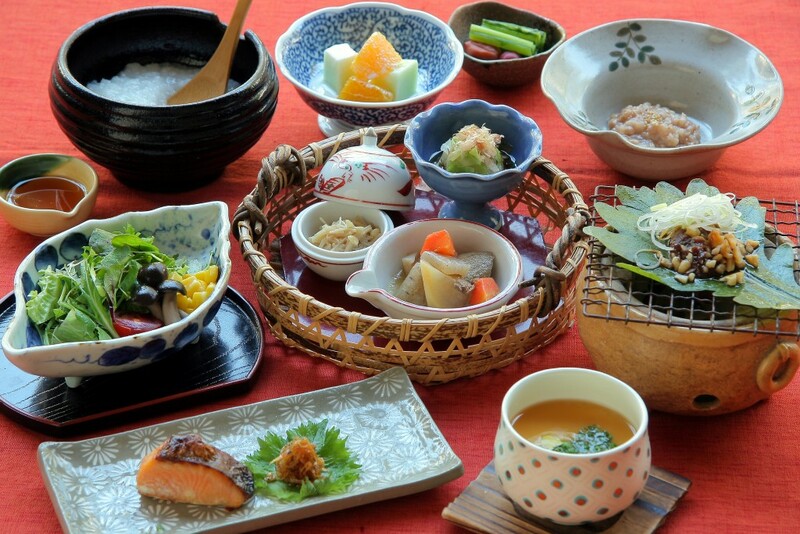 All dishes are made with local produce like apple-fed Shinshu wagyu and Shinshu salmon, with seasonally available vegetables. For breakfast you can choose one of two options; Western or Japanese. 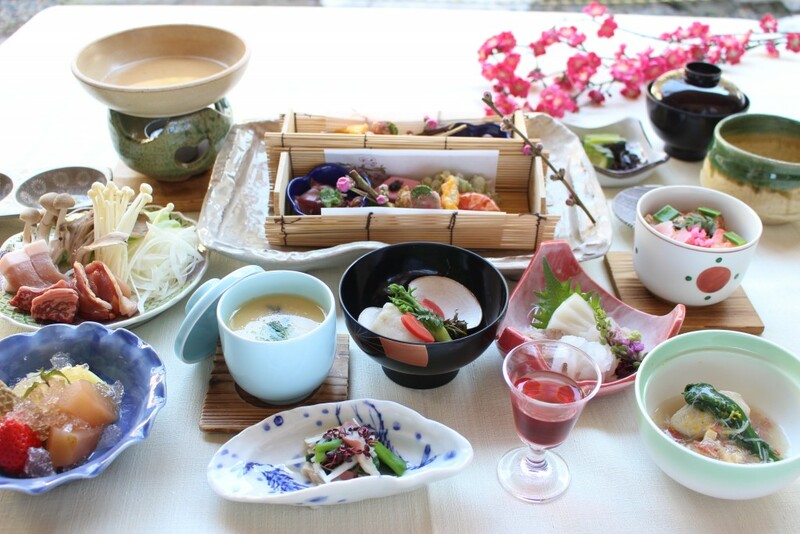 The ingredients used for breakfast are from the same draft as dinner; everything is local and seasonal. 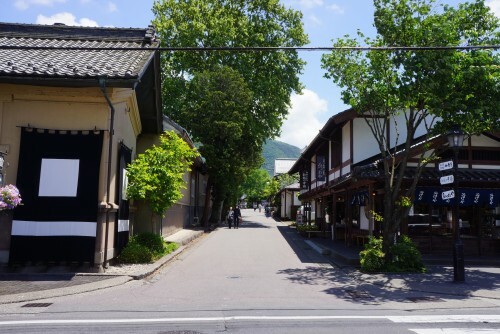 One thing that makes Senjukaku a good fit for many foreigners, is the way they cater to dietary restrictions. The kitchen can prepare for everything from vegetarian, vegan, gluten-free, and more. Other facilities available at Senjukaku are an indoor pool, a lounge with complimentary coffee and tea, a Japanese garden with koi fish and old cherry blossom trees, and an exhibition of historic hanging scrolls. 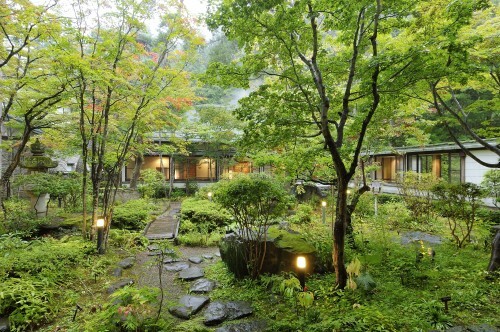 As mentioned above, Senjukaku is the ryokan closest to the Snow Monkey Park. From the ryokan you walk up the road to the forest trail, from where you walk for 30 minutes to get to the Park. 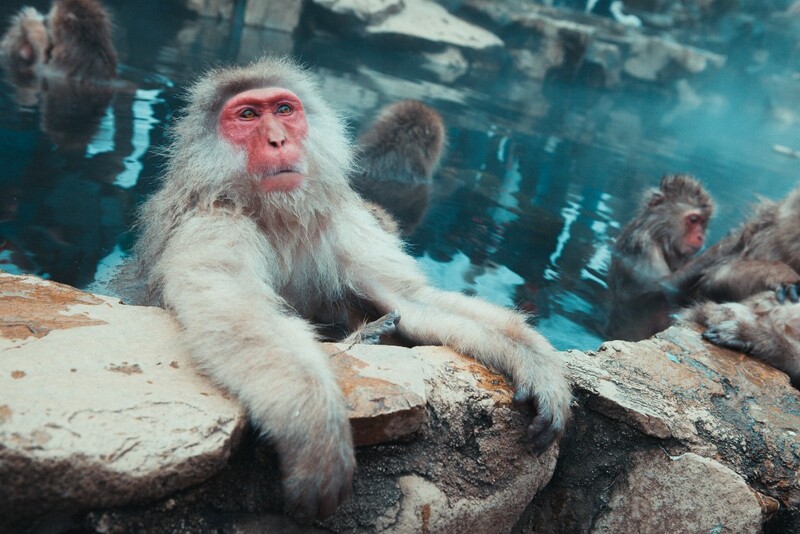 At the park, you can marvel at the monkeys that lounge and run in their park, and bathe in their hot spring. 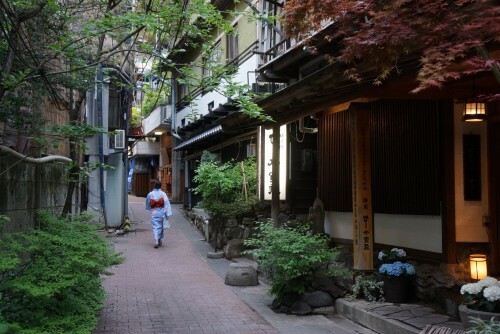 Another worthy attraction only 15 minutes away from Senjukaku is Shibu Onsen, a centuries-old hot spring town with 9 famous onsens. 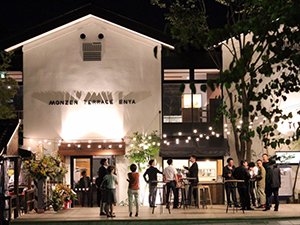 The town still has a traditional onsen town atmosphere with its many ryokan and people walking the streets dressed in yukata. A little further is the town of Obuse, a town famous for their chestnut treats and for its Hokusai artworks. 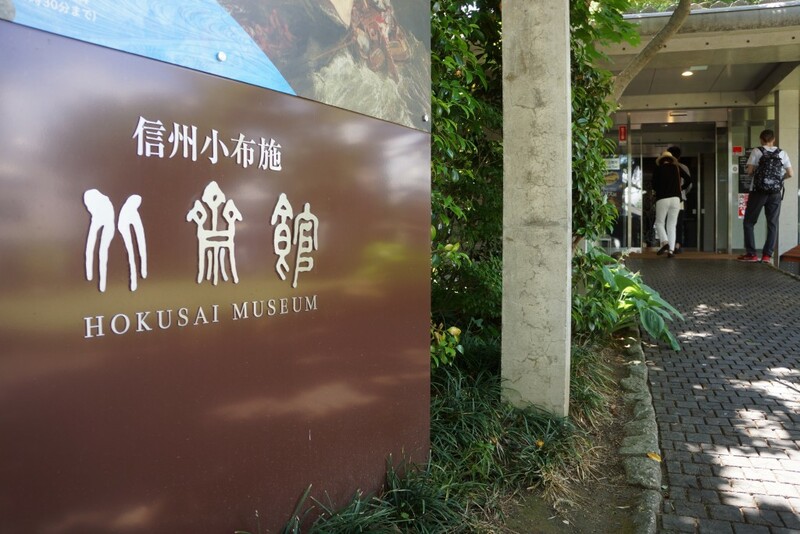 Hokusai is one of the most prolific Japanese painters and stayed in Obuse for a few years. 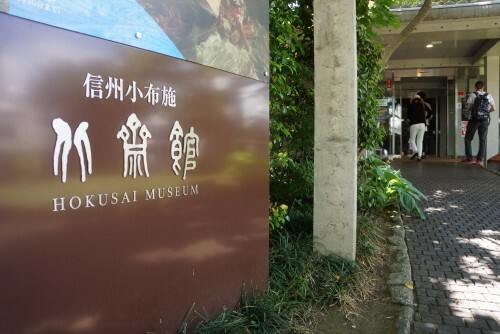 He left many of his works behind and these works became part of the exhibition of the Hokusai Museum. 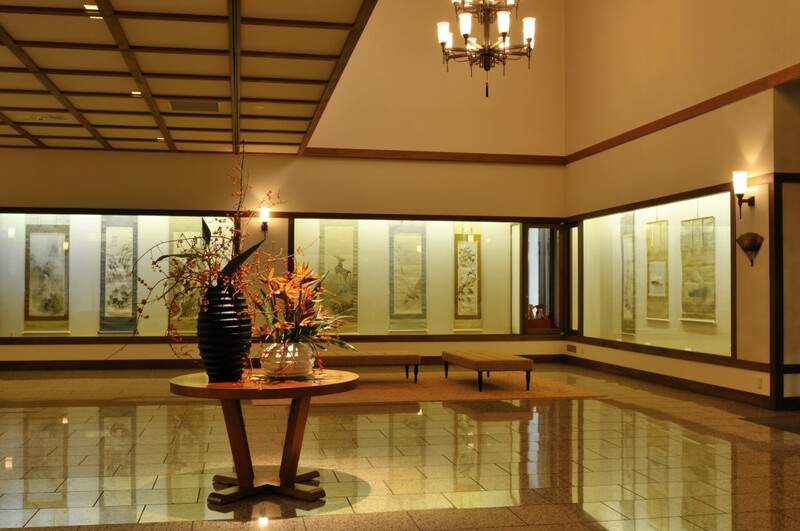 Senjukaku Hotel provides guests with shuttle service from Yudanaka Station by reserving. 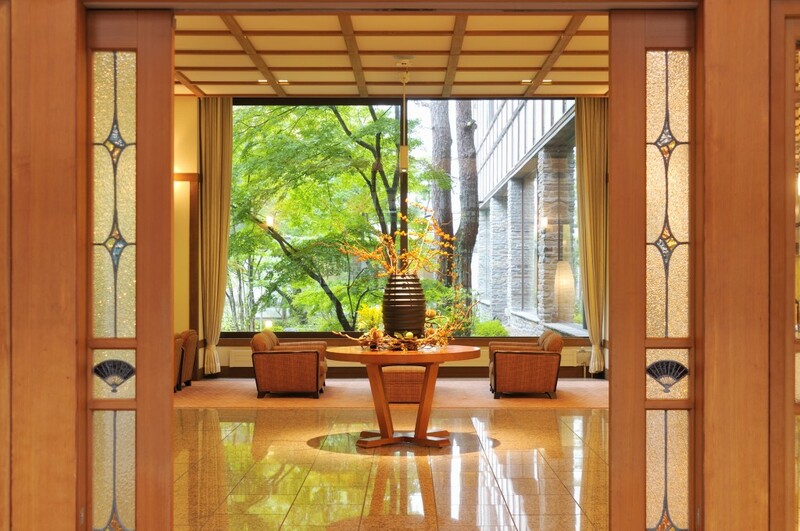 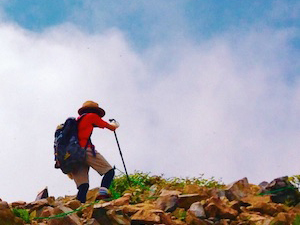 Look at this article for more information on how to get to the ryokan. If you want the true Japanese ryokan experience with onsen, kaiseki dinner, and yukata clothing, come to the Snow Monkey area and enjoy the first-class hospitality of Senjukaku!